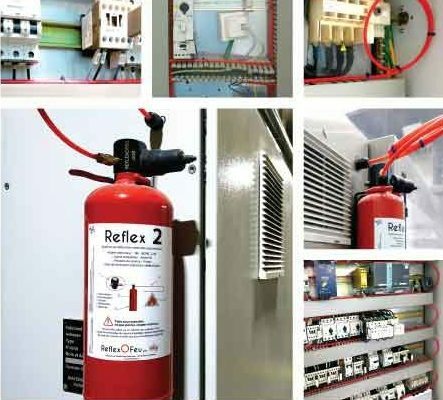 ReflexOFeu is an automatic detection and extinguishing stand alone system. It will easly protect your electrical cabinets, computer server and all other closed volume technical cabinets 24/24h. It allows you to reduce the risk of spreading fire to the entire building. With fast detection and shutdown, it minimizes damage and allows a quick restart of your production.